color of the month-Blue Moon. Wow! Once in a blue moon I almost miss my monthly color of the month vignette! The last day of the month just scooted right in there! 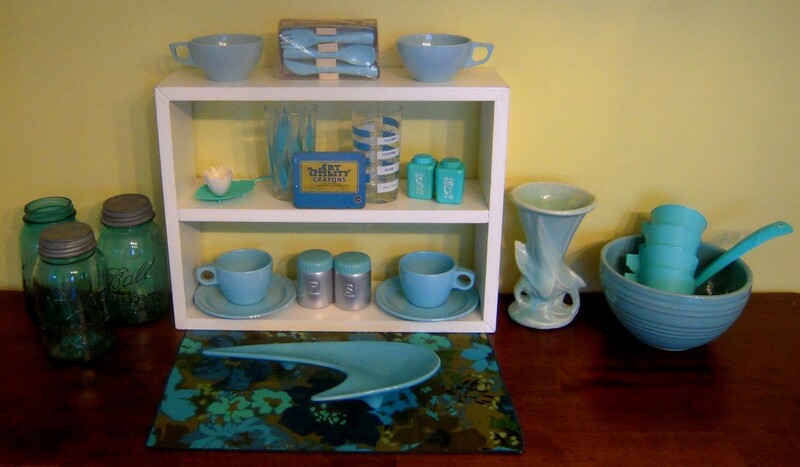 But I made it and here’s a cool blue collection of vintage housewares! Most are from my personal collection and a few are for sale. Fave pieces are the amazing McCoy vase from my grandma’s, the lovely McCoy bowl, the boomerang dish!, the little dixie plastic silverware, the leaf egg cup I just got yesterday, the aluminum salt and p’s with aqua lids, and the kitschy cool calorie counter glass by The Beauty Health Assoc. This past weekend I packed it up and headed to Columbus, OH for the Country Living Magazine Fair. 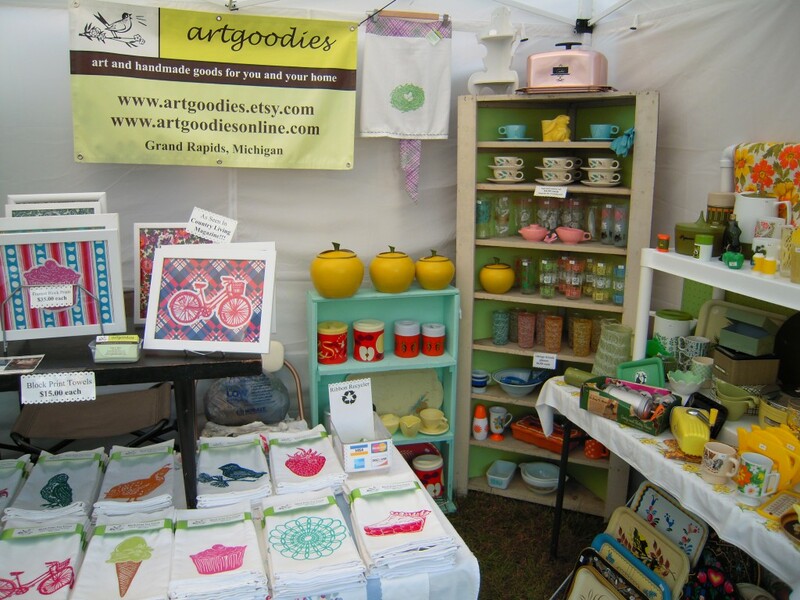 I LOVE that I can merchandise both my vintage houseware finds and my artgoodies product line! A match made in heaven! I saw some friends I hadn’t seen in awhile, met the editor of the magazine and a couple other Country Living folks. Plus I met a couple of fans which was fun! This one girl asked to have her picture taken with me which was a first, her enthusiasm was great, she was super nice, and it really made my day. Next stop on the show train for me- The Country Living Fair Atlanta! I hope my super duper awesome and ultra nice neighbors decide to do the show! Afterall, it wouldn’t be country living without great neighbors who you can borrow a cup o’ sugar from or say a hammer to pound your tent stakes in! So I didn't make it out of my booth much this year because well, there were a few people! I snapped this pic as I was running back from the bathroom-and yes you can only imagine the line for the ladies room. 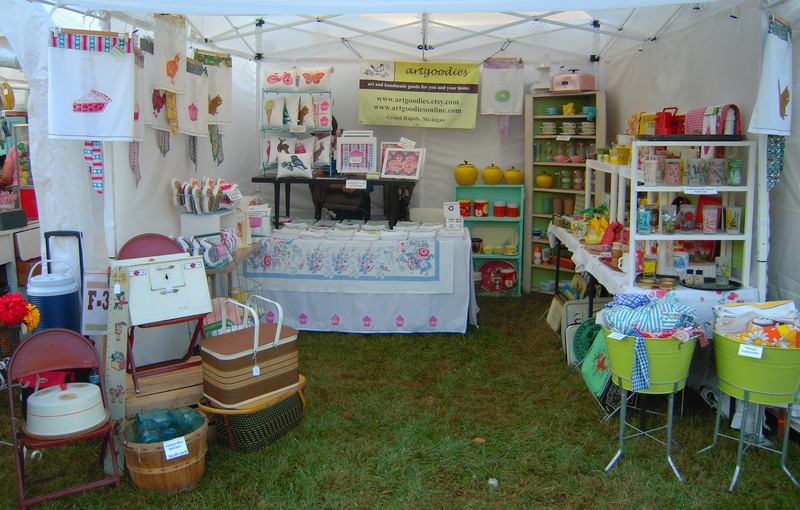 Here's my booth just before opening! 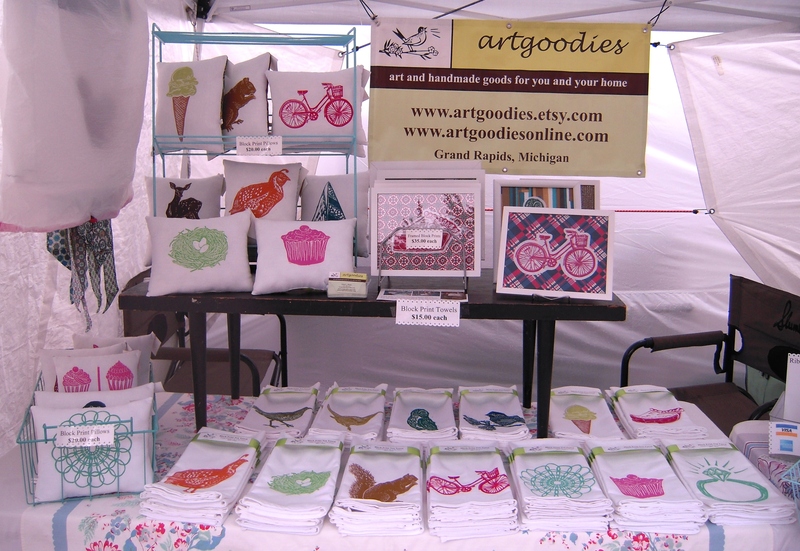 All set up and ready for shoppers! I want to live here, oh wait I do! YAY! I feel SO very lucky to do what I love for a living! Next time I'll have to bring more cupcake pillows! They sold out in a matter of minutes! The NEW cherry pie and bike designs were a popular choice plus my new corner cabinet display worked like a charm! And the little minty shelf added some pizazz! More display items this trip-the car was SO full, there were things tied to the roof and I had to hold my suitcase on my lap and computer bag at my feet on the way there! Our neighbor behind us could not believe we could fit our whole booth into a suburban. What can I say, my Dad and I have mad packing skills! 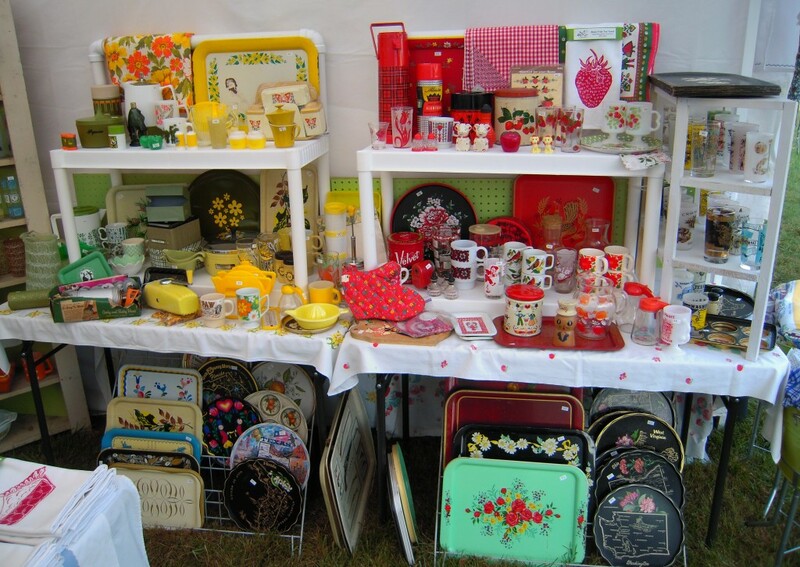 Vintage housewares! I love hunting these treasures down! I love merchandising the collections by color! And I love it when an item jogs a customer's memory and sends them back into the kitchen with their mom, grandma, aunt etc. I sure get to see a lot of smiles! And get aload of all those trays! SOLD! 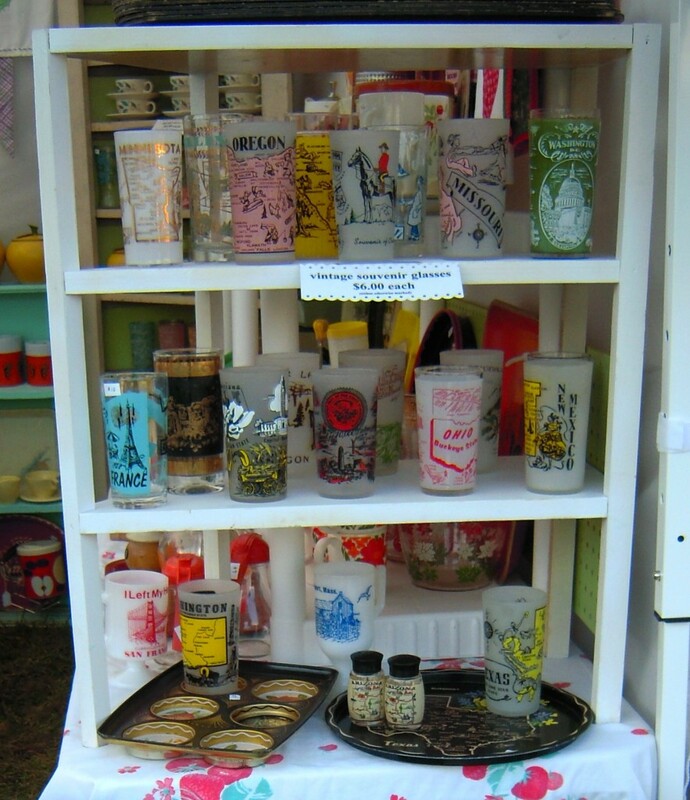 My collection of state glassware was gone in a flash! Early birds got the worm on this one! Last but certainly not least, a huge thanks to my parents who helped me man the ship! Gray days, windy cool weather….um..no thanks, I’d love some more beachy sunshine time! Although the sunshiney cooler days are super dreamy feeling and I’m starting to warm up to the idea. 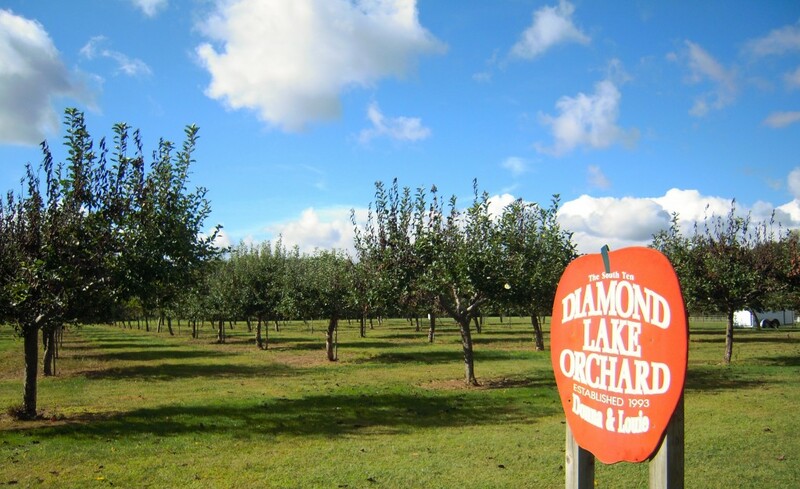 This wonderful little apple orchard on the way to the cottage makes me feel a lot better about the wonders of fall. 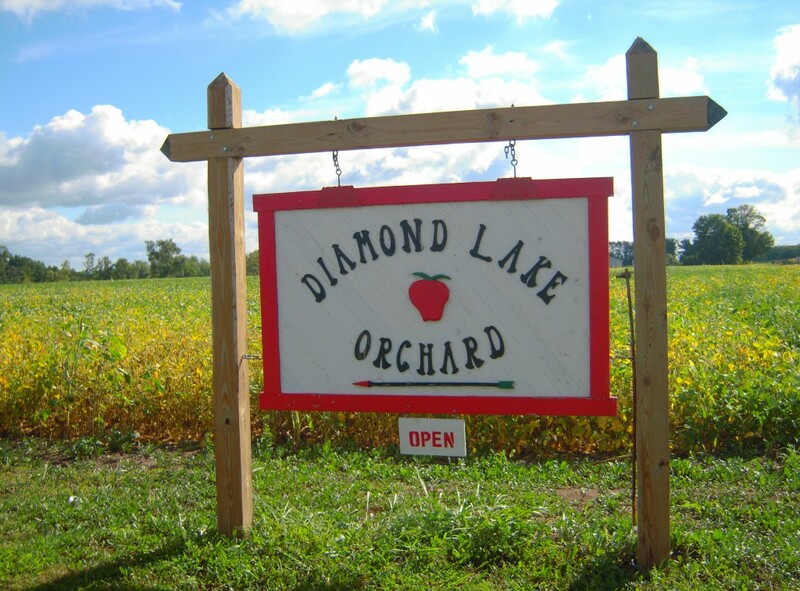 If you happen to be in Cassopolis, MI stop by and say hello to the super nice folks who run this place and pick up some delicious apples! This sign down the road directs you right to the spot! 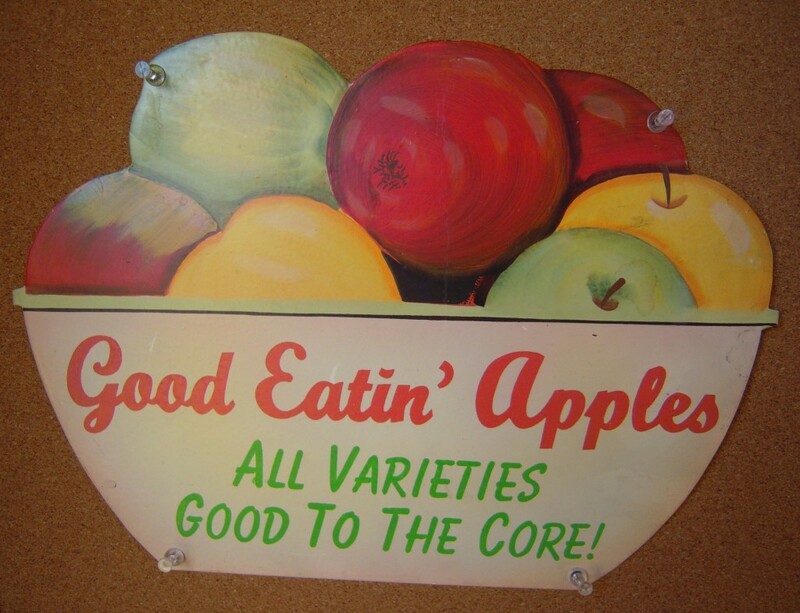 Isn't this sign fantastic! SO inviting! A shot of where all the deliciousness grows! 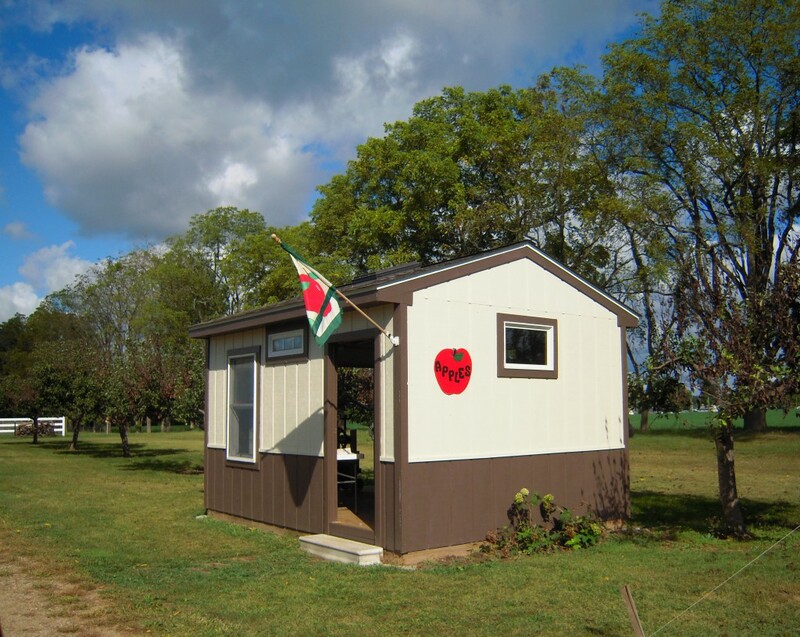 Here's the little apple shed! 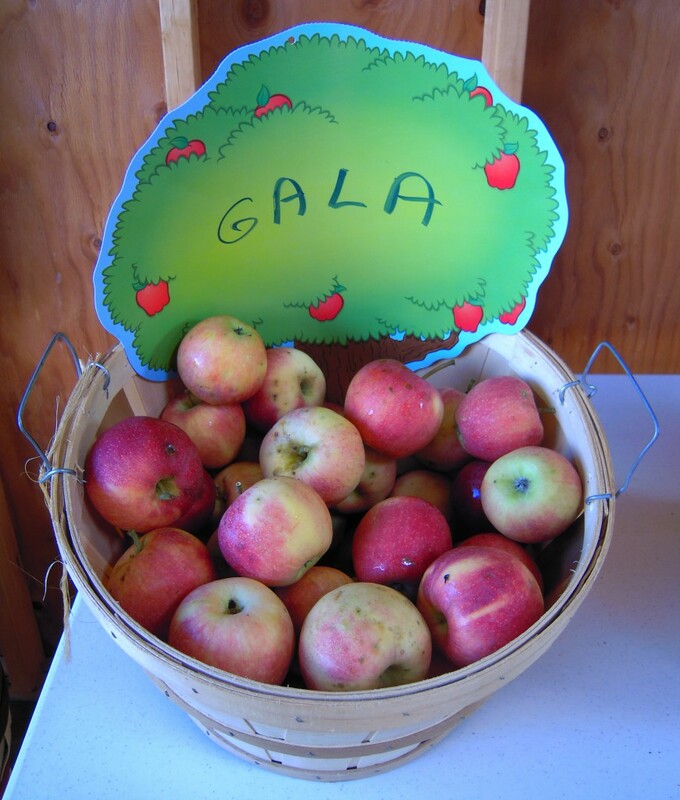 There's even a little cider press inside that I'd like to give a whirl! Mmmm...just one of many varities! 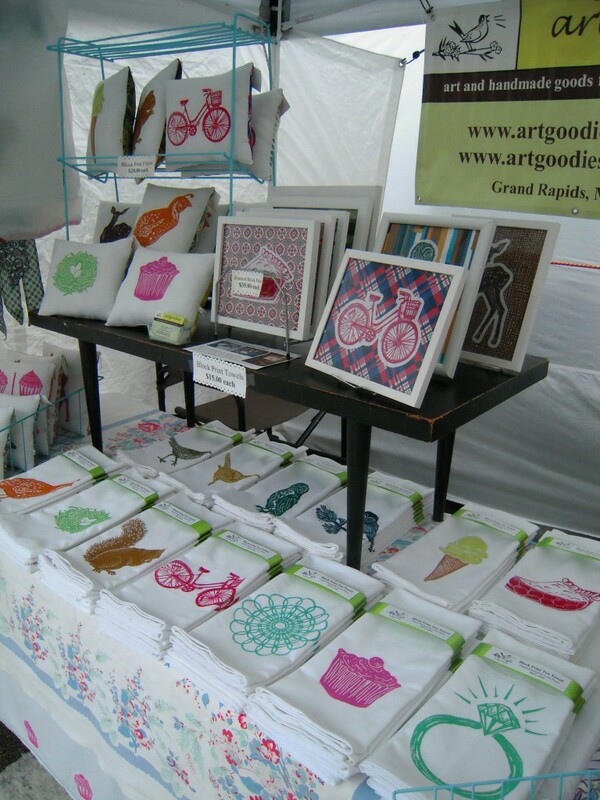 I brought some NEW squillow pillows with me as well as a few new designs! The bikes and the cherry pie proved to be super popular and the squirrel of course charmed it's way into many a shopping bag! Thanks to Renegade and all the new customers as well as those returning! There was a bit of rain Saturday morning but it cleared up in the afternoon and the rest of the day and Sunday were just beautiful and busy! Ring Ring! 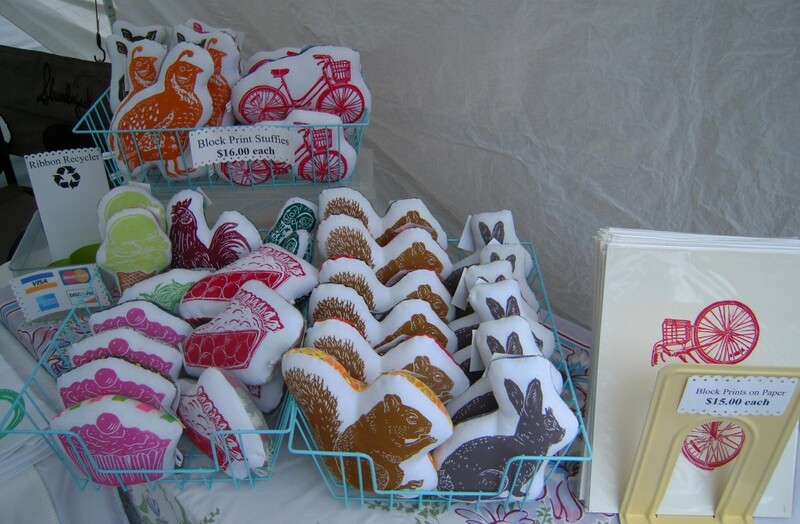 New bike stuffies! How bout a delicious slice of pie, or the sellout squirrel?